We can provide training towards a Sport Pilot certificate in our Cessna C150. The student will need to complete the last few hours of training and take the practical test in a LSA (Light Sport Aircraft). The Private Pilot Certificate is the primary goal for most student pilots. It allows them to take passengers, fly at night, up to 18,000′ altitude, and fly almost anywhere in the world. Our proven training program will give you the tools to use your new skills with confidence! Training is in our C172 Skyhawk and with Marlboro’s non-towered environment you’ll spend more time in the air saving you time and money. The Instrument rating is the next step for pilots who want extra confidence and safety to get the most utility out of their aircraft. It takes 40 hours of controlling the aircraft solely by instrument references, and learning how to efficiently use the national airspace (ATC) system. Our Cessna Skyhawk is IFR certified and equipped with all the systems needed to pass your checkride. Edge of the Envelope – A unique, personalized 3 hour course in advanced stalls, extreme slow flight, emergency procedures, and short field landing techniques. Add a 2-hour Spins module for the ultimate skills and confidence booster. 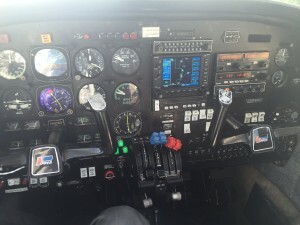 We also offer CFI-required FAA Spin Endorsements in our Cessna 172. We provide Biennial Flight Reviews, Instrument Proficiency Checks, and FAA Wings achievements in our airplane or yours, including tail-wheel and complex aircraft. We can custom tailor a proficiency program or help get rusty pilots back in form and certified to fly again safely. 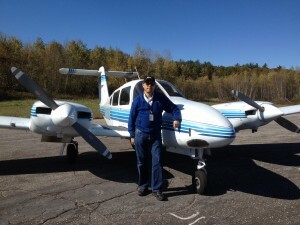 Kevin is available to provide instruction in your complex or multi-engine aircraft. We are fully qualified in the Beech Duchess, Piper Seminole, and Piper Seneca light twins.